ReadySetF a s h i o n: Can I Check Your Bag, M'am? Can I Check Your Bag, M'am? 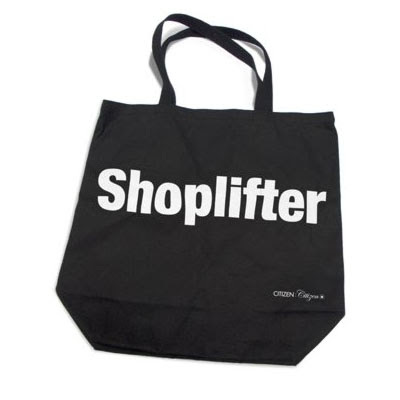 Even when I'm browsing the online counterpart of the Manhattan home store, Matter, for home items, I still find the Shoplifter Bag by Citizen. I dig this idea for a reusable grocery bag! I love it. And I'm just the kind of weisenheimer who would carry it.